Er... That WAS you, yes? 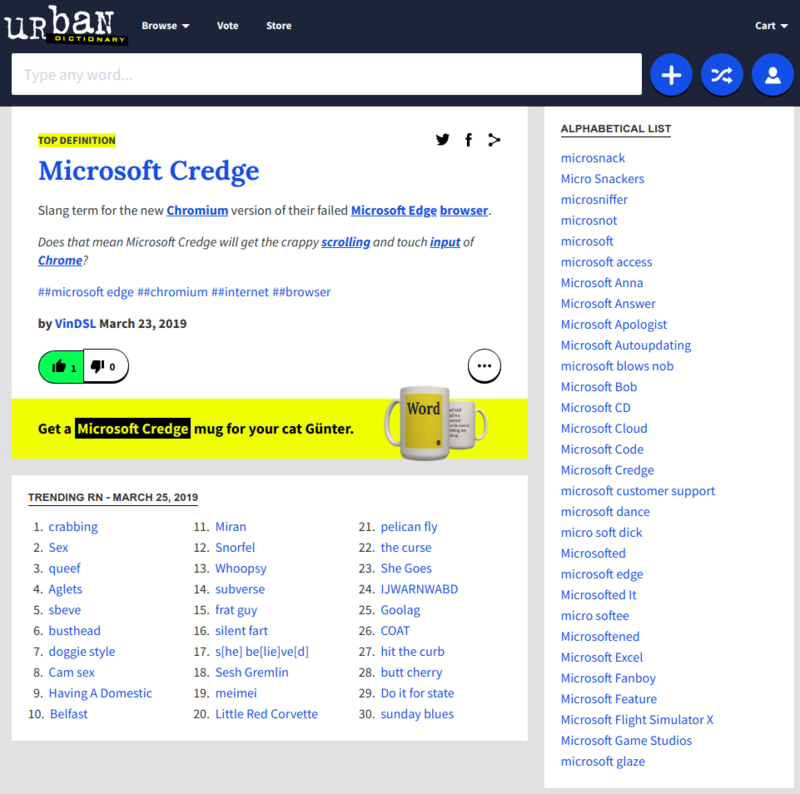 I had my first definition published on Urban Dictionary in 2004 (when I was admin'ing NukeCops) but lost track of my login credentials. About every year or two, after that, I'd try to guess my login creds. Then, they changed up the auth process - no longer using the Username/Password format. But, I kept trying anyway. Well, I'll be damned if I didn't finally figure out a workaround last year (2018). How's that for persistence? Any other Peppermint fanbois published over there? Note: I'm not saying Chrome is crap, just that most things Microsoft are, particularly web browsers. (and other default Windows tools, I use as few as possible) Given a choice between Chrome and Credge, I'd run Chrome with no hesitation. It kinda tricky getting published over there - not as bad as Wikipedia, but similar. Every time I login, they ask me to vote on new definitions, and I do. I figure I'm a pretty average guy, in lots of ways. So, I base my submissions on something I would vote "Add It!"